The costs for consultations vary depending upon the appointment type and can be obtained from us prior to your appointment. Our standard fee schedule is shown below, and more information can be found for your consultation with a urologist here, and with an oncologist here. 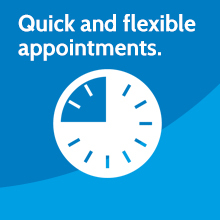 Some longer appointments or specialist appointments may be charged at a different rate. An up to date list of charges is usually sent out to all new patients, but if you have not received one and require one please call us on 0800 756 7771. There are additional charges for any investigations or diagnostic tests. Some of these will be billed directly by the hospital, and some by Cambridge Urology Partnership. All patients are required to complete a Terms and Conditions for Patients document, and this can be printed and brought with them to their appointment. Other fees and charges cannot always be anticipated but, if they are necessary, you will be advised of the fees on the day. If you would like to know the charge for any particular procedure in advance, please ask. We will send you details of the procedure code and description of the anticipated service(s) in advance, together with our fees. Anaesthetists fees, if applicable, are charged independently. 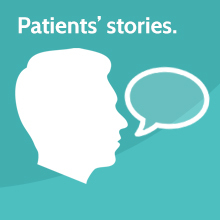 The name and contact details of your anaesthetist will be provided on request. Our fees for procedures and surgery are generally aligned with the benefits payable by most major UK insurance companies. However, this is not always the case and your insurance company may have its own scale of charges, which may differ. If there is a difference, you may be r equired to pay part or all of this. A charge may be made for appointments missed or cancelled without adequate notice. A charge may be made for completion of claim forms, or for medical or other reports requested in addition to our normal clinic or post-operative letters. The NHS does not cover the costs of the private services provided. Charges are routinely covered in full by all medical insurers, subject to individual policy benefit limits, restrictions and excesses. If you have medical insurance, we will usually be able to settle accounts directly with the insurer, but please note that it is the patient’s responsibility to ensure that all bills are paid in full. If you require surgery, you will be given an estimate of our fees, so that you can check your level of cover with your insurer. If you are not covered by medical insurance, the hospitals we work with can usually offer all-inclusive packages for surgery. For outpatient investigations, we will always be happy to give costs estimations in advance, although given the nature of healthcare it is not possible to be absolutely accurate in every case. For an up to date list of fees or for the fees for a particular procedure, please contact us on 0800 756 7771. Such fees are given for illustration only, and are not binding, as the nature of the treatment required can change. Please note that we reserve the right to charge patients who do not attend their appointments. We request that any invoices are paid within 14 days of the date of the invoice. 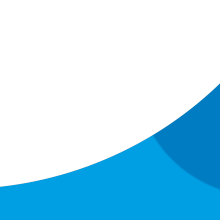 Partners of the Cambridge Urology partnership work with various industry partners, providing education, training courses, consultancy work, mentorship and proctorship, and undertaking research studies. These partners include: Boston Scientific Corporation, EMS Medical, Coloplast, Lumenis, Intuitive Surgical and Olympus. If you would like more information about which individual partner works with which industry partner then please get in touch. In addition, Cambridge Urology Partnership partners own a laser for which they receive payment for sessional use, which is used for the treatment of kidney and bladder stones and for laser prostate treatment, and this laser is based at The Nuffield Hospital, Cambridge. A number of the partners are investors in the Genesis Care Newmarket Centre, which offers comprehensive cancer care.